You have just received an invitation for a unique gathering of women. It’s unlike anything you’ve ever experienced before. You arrive nervous but a little excited and then the hostess welcomes you in. One woman offers you a seat at the table. Another serves up a beautiful plate. And then another shares a glimpse of her life and you find something in your soul resonating with hers. You know in this moment that these people are special, this space is sacred and your life will never be the same. At the table, stories are told, friendships begin, trust is built, laugh-lines are formed, tears are cried, and lessons are learned. This year, we will sit at the table together. We will invite others to join in and warmly welcome one another. We will love as Jesus loved, serve as Jesus served and create space for God to do His work. We will share our stories and anticipate with great expectation that our lives will be changed. 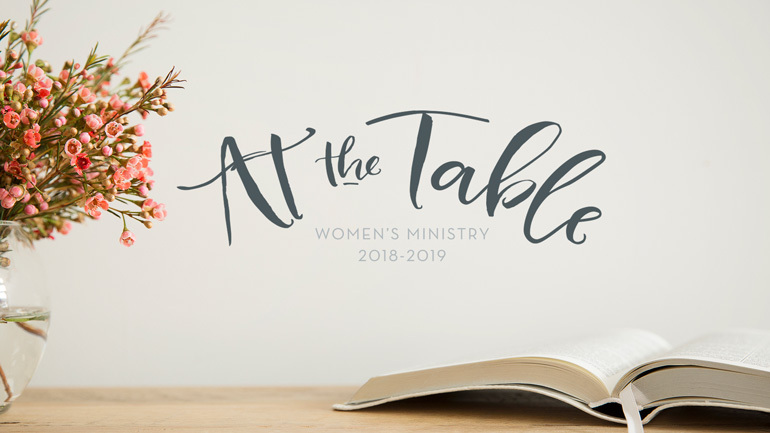 Join us for a wonderful year… at the table.